I am often asked what hat is most suitable for a family wedding during winter. I begin with what style suits my client and her outfit. The shape and style of your hat is the most important aspect. Details such as colours and textures can be incorporated on any hat. I work on different textures that complement the outfit, whether the hat needs to have some fabric matching the dress or simply dyed to match in the millinery straws. Hats are made using lots of different straw weaves, silks or felt. This navy hat is trimmed with beautiful pink silk flowers and edge ribbon which soften the look and brighten the hat. Ladies want to look stunning for their family wedding. The overall hat size should sit elegantly with your outfit. Try not to wear a hat which looks too fussy or too big. Having your hat dyed to match really makes a difference when complementing your wedding outfit. Here you can see the Green Star Wave Hat which I have created dyed to match the same colour dress. For this look the other accessories are a soft gold which look great with the green giving a warm elegant finish. This raspberry 'wedding guest' hat is again dyed to match all in Raspberry which brings out one of the key colours in the dress. This colour is very popular this season as its rich and bright without looking 'Summery'. This piece is created from millinery straws with feather trim. 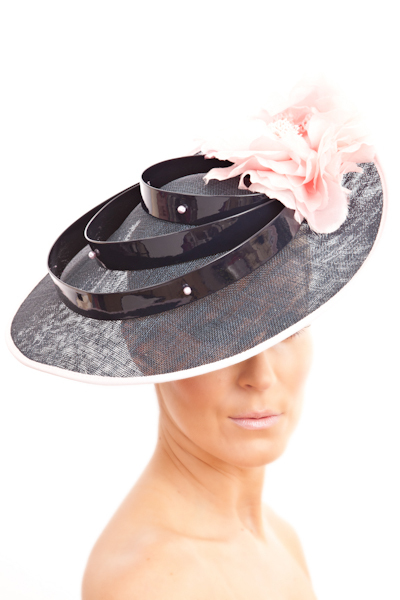 Allow time for your Milliner to design your perfect hat. Once you have your outfit purchased then schedule your appointment for all your accessories incl hat, dyed to match shoes/bag and jewellery. All available now at Suzie Mahony Designs Studio Call 0861948315 for an appt.